ON THE MOVE: Rakuten Super Logistics uses InVia Robotics for Goods-to-Person, RaaS systems. Credit: InVia Robotics. The savings isn’t always bottom line. “The exponential growth in e-commerce couldn’t have been accomplished without significant changes to logistics." “Technology is the key to our success." Order fulfillment can be labeled as the least appealing part of the e-commerce lifecycle. However, as unappealing as it is, order fulfillment is integral to the shopper and retailer. On its simplest level, an order that is placed must be shipped out. So, how can an order fulfillment 3PL be a competitive advantage for retailers? While RSL is among the 3PLs with the most expansive U.S. networks, they are not stopping there. They recently announced plans to open an additional six U.S. facilities by the end of the year. Their expansion will include the major metropolitan cities of Houston and Los Angeles. Meeting a client’s demand is always a priority. This is evident in RSL clients that practice Just In Time (JIT) inventory from overseas. When executed properly, JIT is a competitive advantage as the inventory system increases efficiency and decreases waste by receiving product as it is ordered, thereby reducing inventory costs. Rakuten Super Logistics’ 12 facilities are all located near major shipping ports, which reduces the time from when a product enters the country to when it is received in the warehouse. That close proximity to major container ports allows RSL clients to keep lower inventory levels, thereby reducing their costs while leaving room for scalability. Scalability is a huge advantage for retailers that have seasonal lifecycles. Take Black Friday as an example. In 2018, Black Friday e-commerce sales in the U.S. topped $6.2 billion, dwarfing the $5 billion in 2017 Black Friday sales. * The strain on 3PLs was enormous but managed through valuable resources. However, many retailers who managed order fulfillment in-house could not meet the increased customer demand. Operating a vast network of facilities, RSL provides more than just the ability to scale. It provides significant cost savings to its clients. 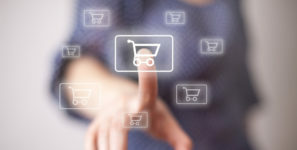 “Our approach to serving the small to middle-size e-commerce companies allows them to compete equally with their larger competitors at a competitive rate,” says Manzione. Rakuten Super Logistics negotiates shipping rates with the major carriers based on their large-scale shipping volumes. This means that when an e-commerce retailer partners with RSL, they receive the reduced, negotiated shipping rates. “With the USPS First Class Packages service structure change to zone-based pricing, all e-commerce retailers must consider how to locate their product closer to their customers,” Manzione notes. The zone-based pricing structure will leave many retailers sticker shocked–the cost to ship a one-pound package from LA to New York will be significantly higher. Leveraging Rakuten Super Logistics’ shipping rates will help keep these costs more manageable.